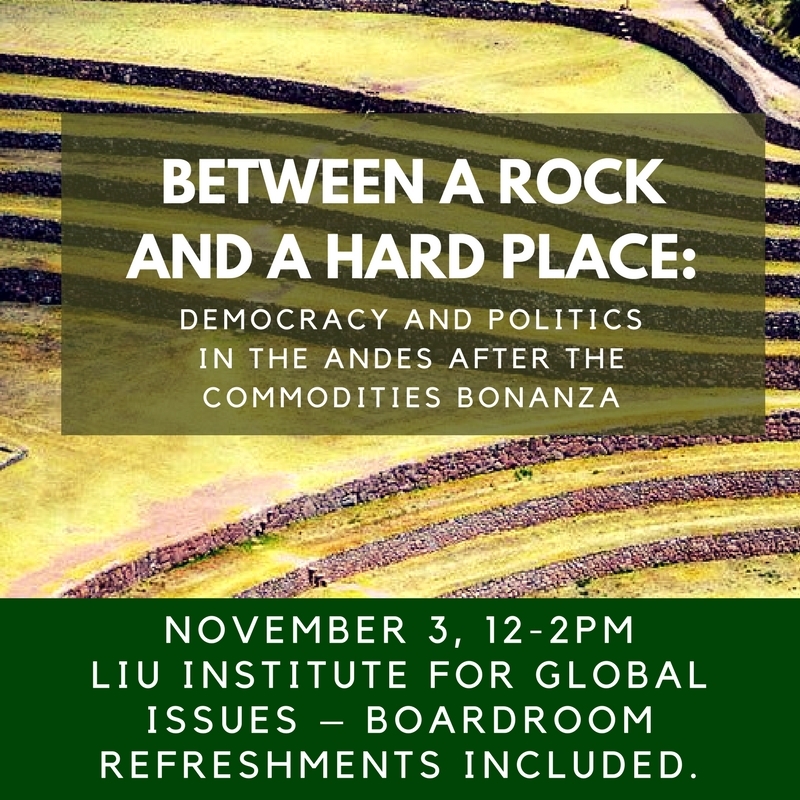 Join us for a panel which analyses the difficult choices facing Andean leaders with the end of the commodities bonanza and looming economic austerity, and considers their implications for the survival of often precarious democracies. The commodities bonanza brought unprecedented changes to Andean countries, the way they organized their state institutions and channelled social demands and it also sustained a new generation of left leaning populist leaders. In these countries, fiscal abundance meant that the state could play a bigger role to organise economic production, manage redistribution of wealth, reduce poverty and even find new ways to organise citizen participation. With the end of the bonanza and looming economic austerity, leaders in the region are facing difficult choices. They can reinforce existing structures to reinforce the controlling role of the state (Venezuela), they can seek to dismantle some of the strong state legacies (Ecuador) or maintain a de facto check and balance system across different state actors (Peru). This panel analyses these trajectories, and considers their implications for the survival of often precarious democracies. 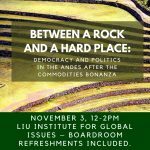 This event is co-sponsored by the UBC Latin American & the Global group, UBC Latin American Studies program, and the Liu Institute for Global Issues and the Centre for the Study of Democratic Institutions as part of the UBC Policy School.